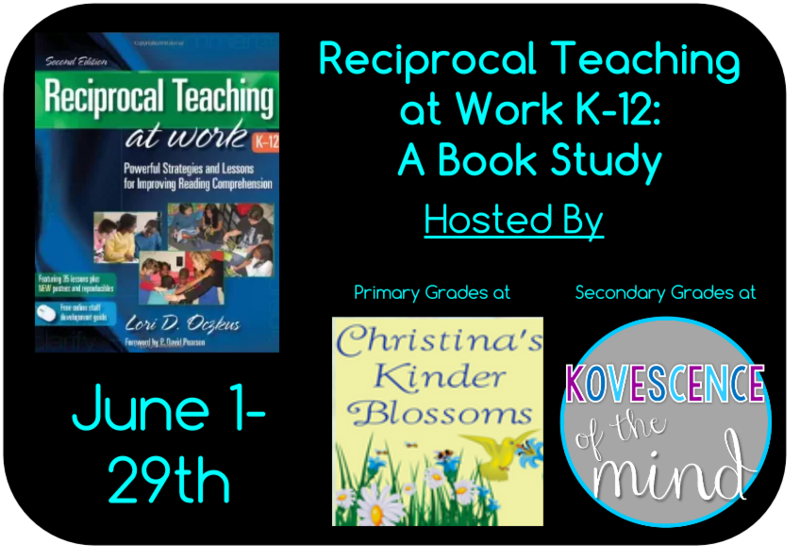 Every week we will be posting our primary (Christina) and secondary (me) reflections on Reciprocal Teaching at work k-12 by Lori Oczus. Grab your own copy, so you can join us this month talking about reading comprehension. Chapter 4 is about small group instruction. Guided reading groups are a main-stay of most elementary reading programs, but they don't have the same frequency in secondary ELA classrooms. Our district is working on Daily 5 and CAFE for K-5, so I picked up a copy of each book to see if I can adapt them to my high school classes. I am still working out the details, but I see Reciprocal Teaching fitting well into that classroom layout. If you aren't using a Daily 5 or CAFE layout, you can still use Reciprocal Teaching for your secondary small groups. Oczkus references the Soar to Success program that researched reading interventions in the upper grades. Here is a summary of the research. Cooper and colleagues researched how the reciprocal teaching strategies worked to discuss texts in small-groups. Students show multiple grade-levels of growth with this program. Guided reading groups work well when you use a text that is slightly more difficult than students can read on their own (pg 131). This is frequently the case with groups of students in my AP Literature class when we read Frankenstein and their choice novel. With the whole class novel, Frankenstein, I believe I could ask the student to self-assess their reading comprehension and understanding of textual elements to form groups for more focused instruction on the needs of each student. I envision students who need clarification of the language working in a small group while students who are grappling with universal themes work in another small group. These groups would not meet at the same time or on the same days, so students who fit in both groups have the maximum chance for exposure. Even having small groups of mixed ability levels meeting daily to clarify and summarize sections of the novel would be helpful for those students struggling with the language. 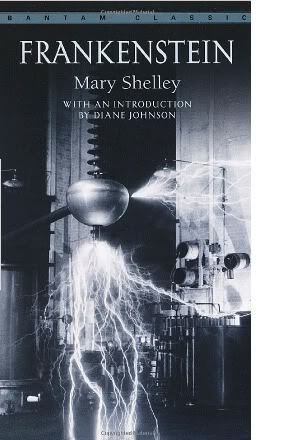 During second semester I have students choose a classic novel to read, but I believe this could easily be adapted into small groups or literature circles around a few novels. This would allow students to support each other while making the unit easier for me to manage. Oczkus' ideas of using nonfiction articles and poems for work on the strategies that make up reciprocal teaching with small groups will work well to bring in a variety of texts, which is something I sometimes struggle with as a secondary English teacher, who was trained to use novels. Using these types of texts to practice the strategies good readers use naturally makes it manageable in a 55 minute period. These can also be high interest pieces for teenagers! BONUS! I would love to hear how you could incorporate Reciprocal Teaching into small groups or how you make small group instruction work in a 55 minute period.